There are a few small walks which can be added together. 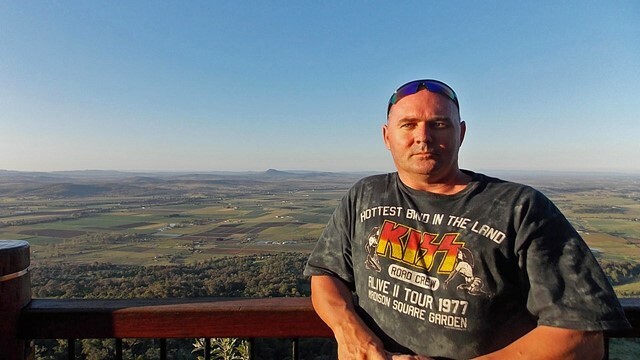 The Logans Lookout visits the popular rock climbing sites. Camping is allowed self regisation available on-sie . Pub hols may require booking ahead. Wow I had no idea about this place and how easy it is to access such amazing views. Whilst the track is short and easy you can fully explore the cliffs yourself if you like so you can walk down and around them which is interesting and enjoyable. I saw a brown snake at the bottom. I had the place to myself on a weekend - felt strange. Will return. Good experience for our three-year-old companion. 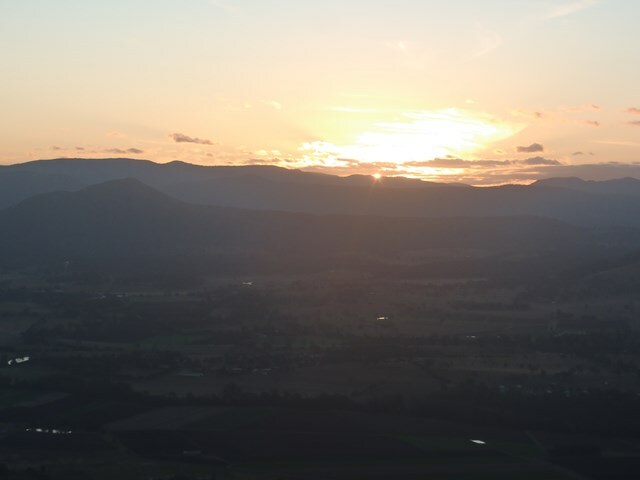 Headed out on East Cliff Circuit then th track out to Logans Lookout for sunset. Good sunset to cap it off! Perfect for first timers who are looking for a taste. 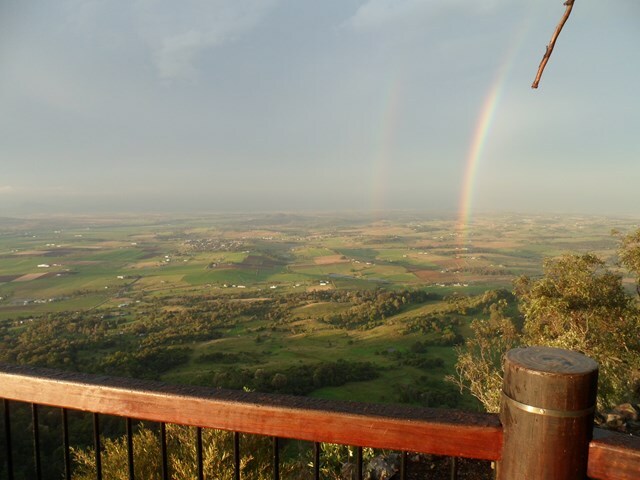 Also the main lookout is 100% wheel chair accessible with great views. The second track is very easy and interesting at one point looking a little like southern alpine regions. North cliffs is still the only circuit that's currently open. Fantastic view, especially at sunset. Only North Cliffs Lookout was open. Other circuit walk was closed to prevent spread of something. 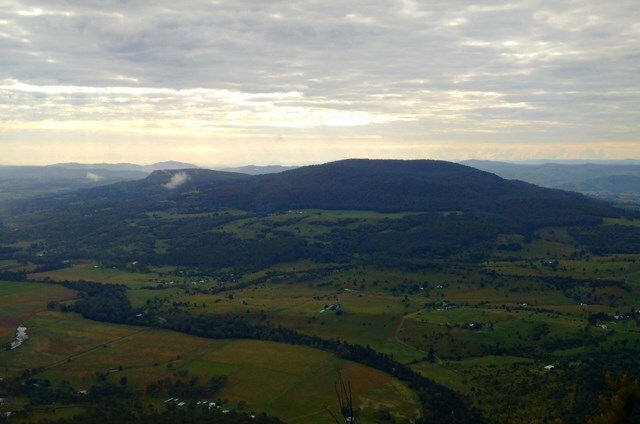 This is a walk in the park after Mt Greville and Mt Edwards, since you drive to the top. Very pleasant. Nice lookout. 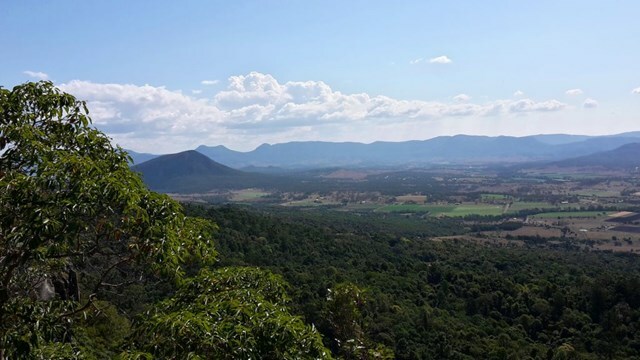 Beautiful lookouts and vista's over the Fassifern valley. Been multiple times taking friends and foreign visitors alike. 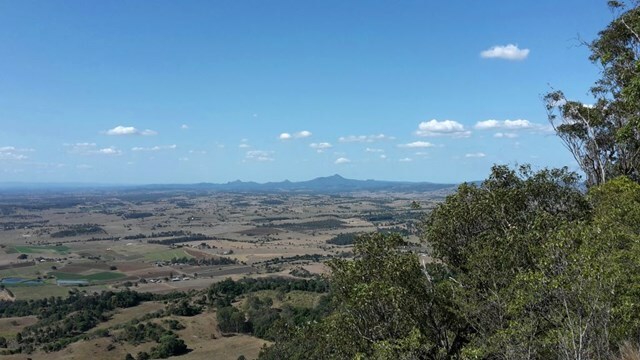 There are two walks, the North Cliff track (or Logans Lookout) and the Mee-bor-rum circuit. Very comfortable walks, almost flat all the way. 30 minutes is enough to do them both. 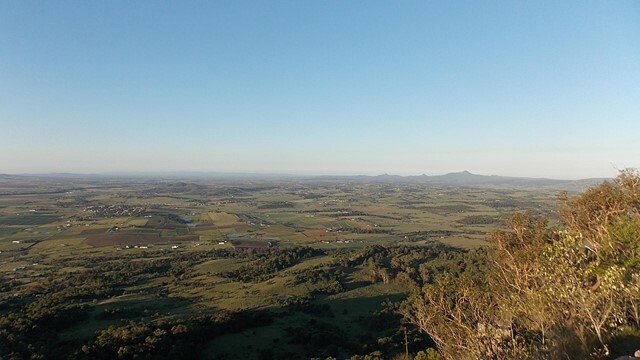 Great views from Logan's lookout of the Fassifern Valley and surrounding areas. Great views from all lookouts on Mt French. Worthwhile camping there the night all tracks are in excellant condition can't go wrong here toilets, water, camp and picnic grounds. Nice views and good facilities. Love the Duggandan pub!